It is always a good decision to spay/neuter your dog- it helps reduce the number of unwanted strays or puppies as well as many health issues in pets including tumors and pyometra. Caring for your dog after spaying or neutering is an essential part of the recovery process. Some owners believe that their pets undergo a complete change in their personality after the surgery. 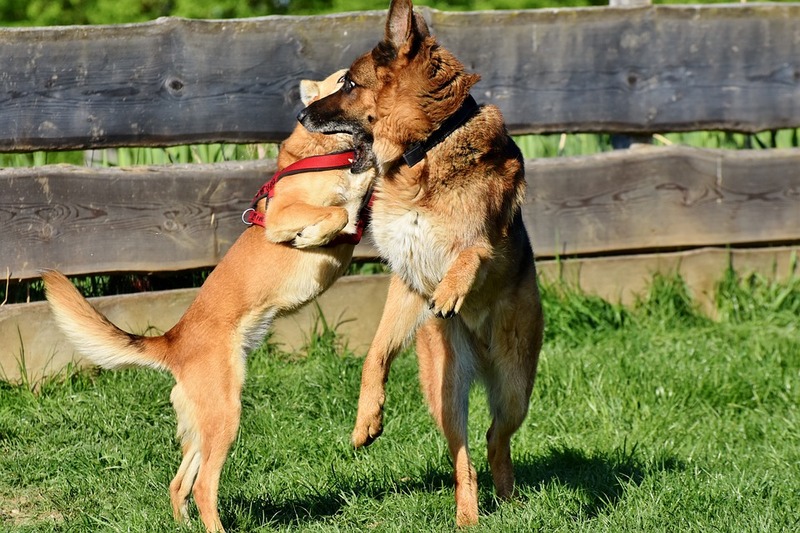 These changes are usually very positive, especially in case of male dogs, since sterilization reduces their aggression as well as the tendency to roam. 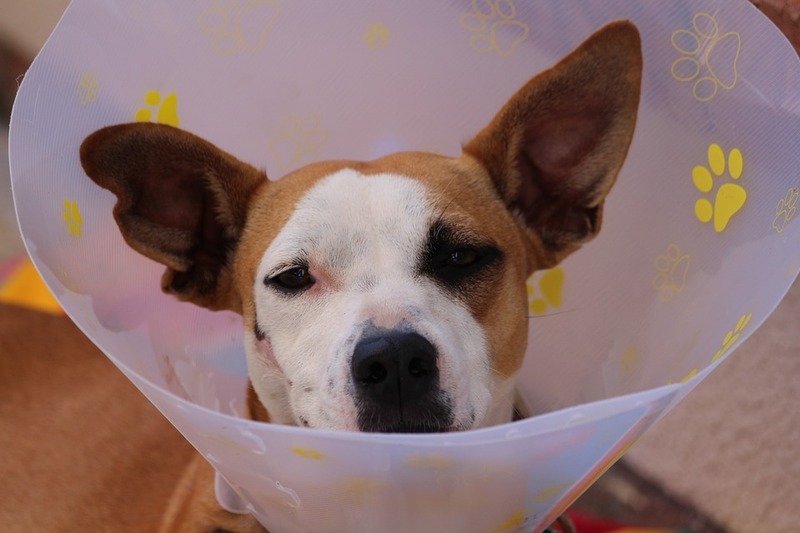 In this guide, we will talk about after-neutering dog behavior, and some frequently asked questions from dog owners about the recovery process. Female dogs should ideally be spayed before their first heat cycle whereas male dogs should be neutered between the ages of 5-6 months. Your dog has undergone a major surgery and chances are that he or she is very groggy and disoriented due to the anesthesia given during the procedure. 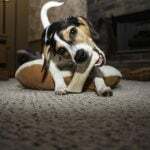 Some dogs take at least 2-3 days to return to their normal self. Others recover faster. It is okay if your pet does not show much interest in food during this time. Make sure s/he drinks water to prevent dehydration. You can feed your pet some chicken broth or stock. Apply some maple syrup to his/her gums if the pet allows it. Some dogs may have isolated vomiting or diarrhea episodes. These usually pass after 24-48 hours. So call your vet if your pet continues to experience bouts of sickness beyond 3 days. A bit of fatigue and lethargy is common in operated dogs. 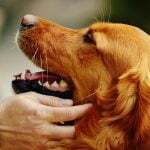 However, if your pet cannot be roused, is bleeding, having blue/purple/pale/white gums or requiring effort for breathing and walking, then call your vet immediately. Male and female dogs often tend to get a bit lazy post sterilization surgery. This is because they no longer seem to want to expend energy on sexual matters. A good diet and adequate exercise are necessary to prevent weight gain in fixed dogs. You can expect minor swelling/bruising or redness around the site of the incision. This does not need any additional treatment in most cases and resolves on its own. Do see your vet if there is pus, bleeding or prominent swelling in the surgical site. Spayed female dogs feel the need to pee often due to a ‘feeling of pressure’ on the bladder. This is usually temporary and will resolve in a week. Take your dog for frequent, gentle walks outside, preferably on leash so that she can relieve herself. How long does a male dog have to wear the cone after neutering? Make sure to leave the collar/cone on the pet for at least 7-10 days or as advised by the vet. This is necessary to keep the pet from scratching or licking the site of the incision. As far as possible, prevent your pet from jumping, running or strenuous climbing etc for at least 10 days post procedure. You can take her/him for short slow walks on lead. Your dog may seem normal but do not forget that this is a major dog surgery and s/he needs to take things easy for a while. If your pet is small, carry it up and down the stairs. You can use a dog crate, cage or carrier for this purpose. Avoid bathing your pet for at least 10 days following the procedure. Do not let the surgical site get wet during this period. If you have to leave your just-neutered pet alone for long periods of time, keep him/her in a crate, kennel or a small room to restrict movement. It is important to separate your neutered pets from other animals in the house; they smell different and may cause them to fight. A neutered male could also get an unspayed female pregnant for up to a month after his surgery. Likewise, intact males could mount your spayed female. So it is best to separate the pets for a few weeks post surgery. Spaying/neutering surgery will NOT change your dog’s personality in a negative way, as is the common myth. In fact; it will prevent unwanted behavior like aggression towards other male dogs, tendency to roam or run for finding mates, excessive barking, and frequent urination to mark his territory etc. Weight gain in spayed females and neutered males is due to slightly reduced activity in the pet. Continue following a strict diet and make sure you exercise your dog daily once s/he has recovered from the surgery. Sterilization surgery in dogs has many health advantages. 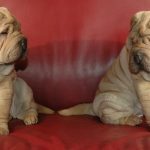 Yet, some pet owners refrain from sterilizing their pets because they have heard stories from other pet owners regarding personality changes and excess weight gain. There may be a grain of truth in these stories but in most cases, these changes are negligible.